When I think of spring I think of muted pinks, feminine pastels and florals.. lots and lots of floral! 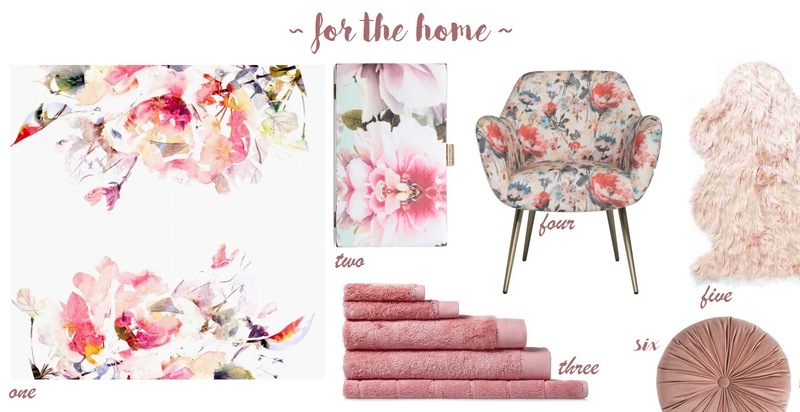 While I’m not rushing to bring home a floral couch (Greg would have a mini heart attack), there are ways to add touches of spring to your decor and outfits! I’m blessed that we had a little baby girl, the amount of pink clothing and headbands she owns is already out of control (…and I not so secretly love it!!) Below are some beautiful Spring-inspired items for you and your home! Previous Post Working out – post baby! Next Post Baby Ava- 8 weeks on! Come along for the ride through parenthood..